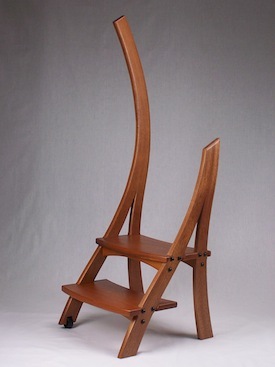 Architectural Accents’ portfolio of furniture includes a wide variety of unique pieces. Let your imagination run wild. Architectural Accents would love to turn your idea into a one of a kind piece of functional art! 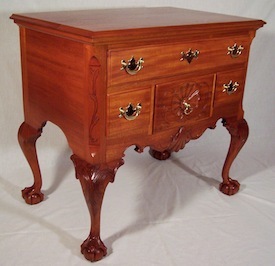 Philadelphia Low-Boy in mahogany with hand carved ball and claw feet. 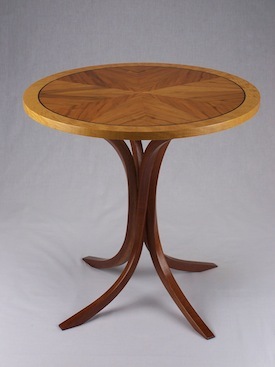 Sculptural table with 3 way curvaceous legs supporting a veneered top with marquetry accent. 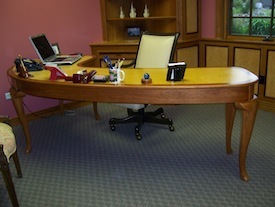 Writing desk in free form shapes in select hardwoods and veneers. 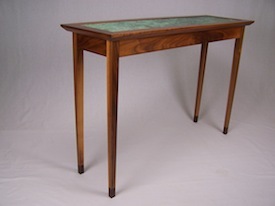 Hall and/or sofa table in walnut with copper or colored lacquer top. 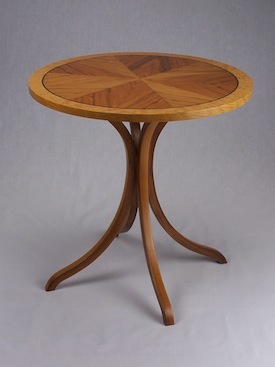 Sculptural table with bent hoop legs supporting a veneered top. Lithesome Library Ladder with floating steps and wheels for easy mobility. 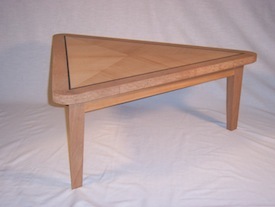 Side tables in unique shapes and personalized veneer choices. 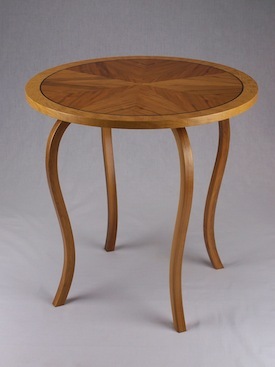 Detail of sculptural table with 3 way curvaceous legs. 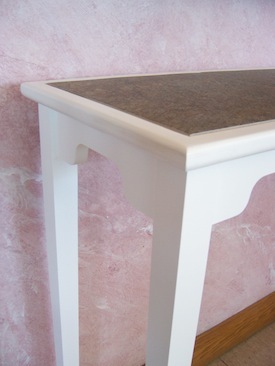 Hall and/or sofa table in painted finish with a tile top. 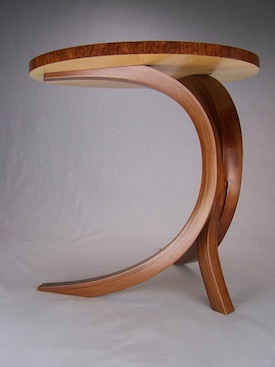 Sculptural table with twisted legs supporting a veneered top. 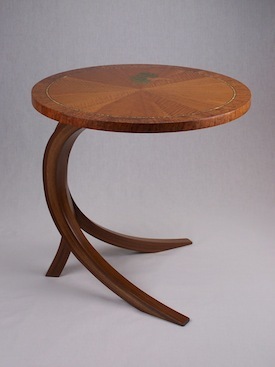 Sculptural table with four bent legs supporting veneered top. 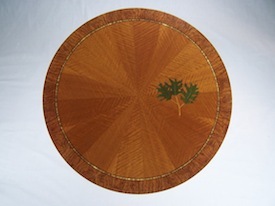 Detail of veneered top with marquetry accent.